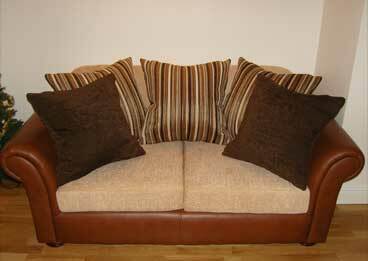 We aim to provide the very best Re-Upholstery and Upholstery Service throughout Birmingham, Solihull and further afield. Our goal is to provide the very best customer experience to all of our clients. We have added this page to allow you, our customer's, to give feedback on any of the re-upholstery and upholstery work we have done for you. "Earlier this year we started the process of looking for a replacement suite for the trusty furniture which had served us well for many years. The challenge which we encountered immediately was finding a settee with both the fabric and importantly size to fit a conventional living room. 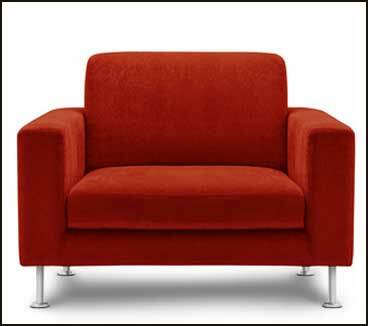 Having researched all the major high street furniture stores over several months it became impossible to satisfy all the criteria’s associated with purchasing a suite, those being comfort, design price and size. We had used Campbells before for reupholstering our dining room chair seats and thought we would set them a challenge of making us a three and four seater settee. 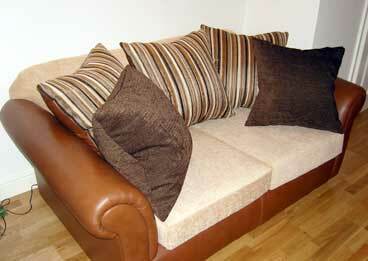 The settees were made to our specification in size and composition of a fabric / leather mix. The choice of fabric colours and textures available were phenomenal. The materials used to for the frame is of high quality and the finish is superb. We are completely satisfied with the finished product and would recommend the services of Campbells to anyone thinking of reupholstering or requiring bespoke furniture."